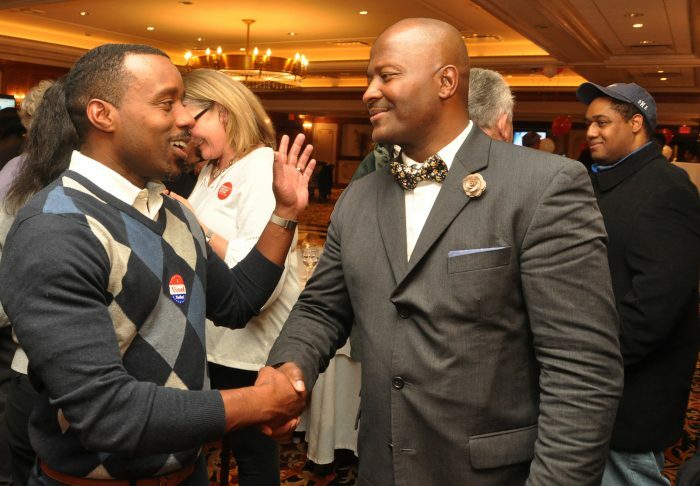 District 140 Working Families Party State Representative candidate Colin Hosten, left, seeks a handshake from Common Council member and election winner Travis Simms, center, speaking to Simms’ wife, Sandra Stokes, Tuesday in the Norwalk Inn. District 140 Working Families Party State Representative candidate Colin Hosten, left, and Common Council member Travis Simms, winner of the election, shake hands Tuesday in the Norwalk Inn. District 140 Republican State Representative candidate John Flynn shakes hands with a voter Tuesday at Columbus Magnet School. 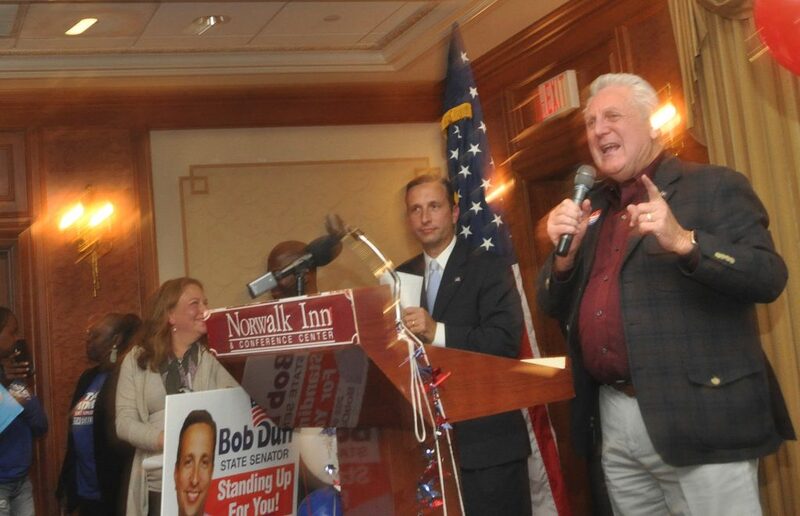 Norwalk Mayor Harry Rilling applauds State Senate Majority Leader Bob Duff (D-25), Tuesday in the Norwalk Inn. District 143 Democratic State Representative candidate Stephanie Thomas waits for results to come in, Tuesday in the Norwalk Inn. 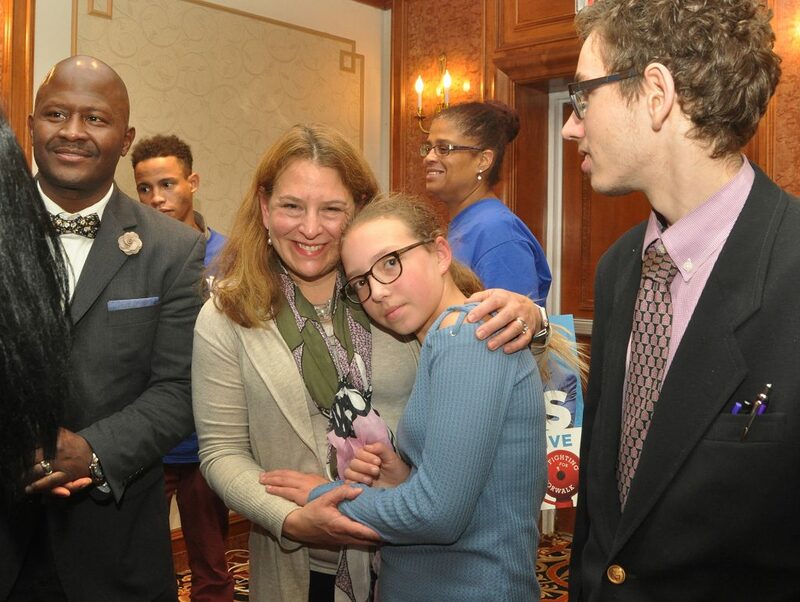 Thomas fell short in her effort to unseat State Rep. Gail Lavielle (R-143). 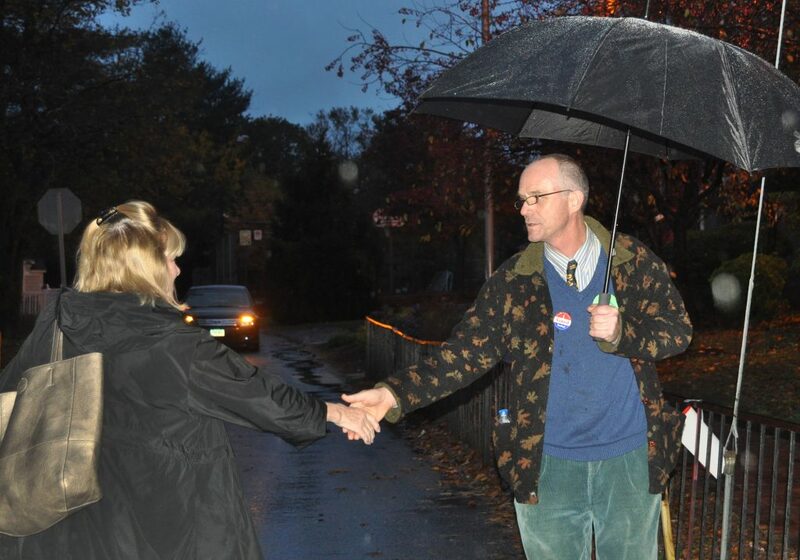 State Rep. Chris Perone (D-137) greets a voter Tuesday at Marvin Elementary School. It rained most of the day. 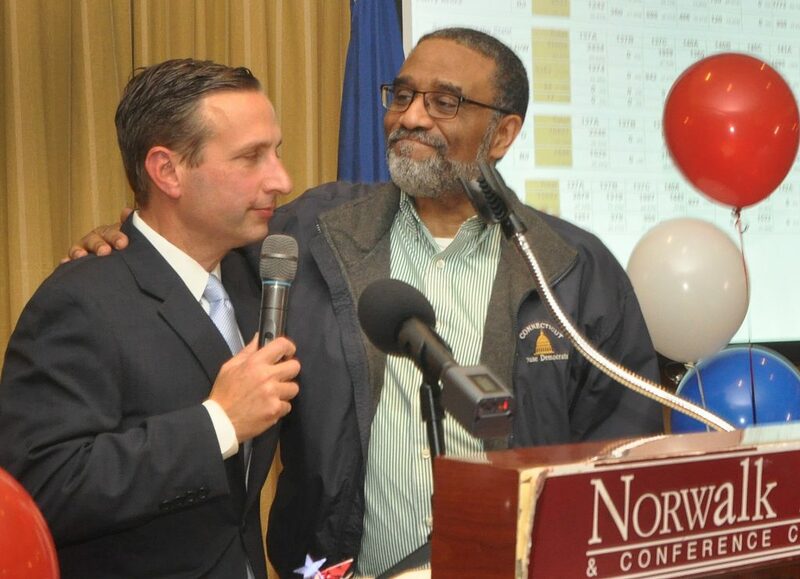 State Senate Majority Leader Bob Duff (D-25), left, recognizes State Rep. Bruce Morris (D-140), for his service, Tuesday in the Norwalk Inn. Morris is retiring; Duff won reelection. 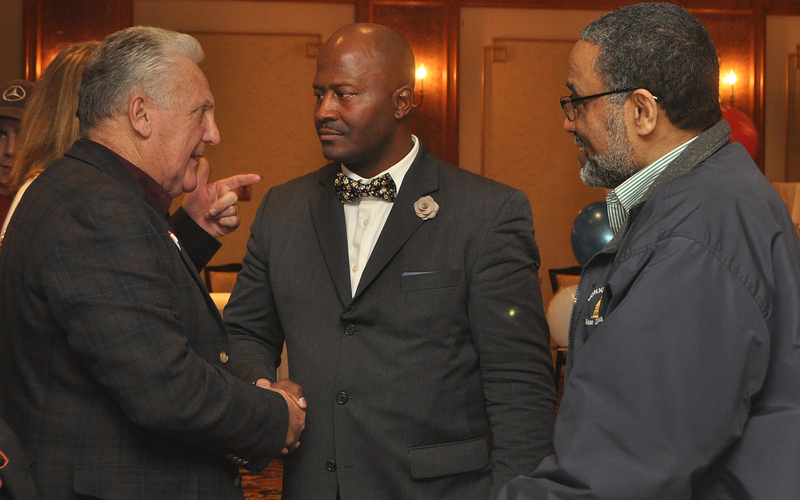 Mayor Harry Rilling greets former Common Council member David Watts, Tuesday in the Norwalk Inn. 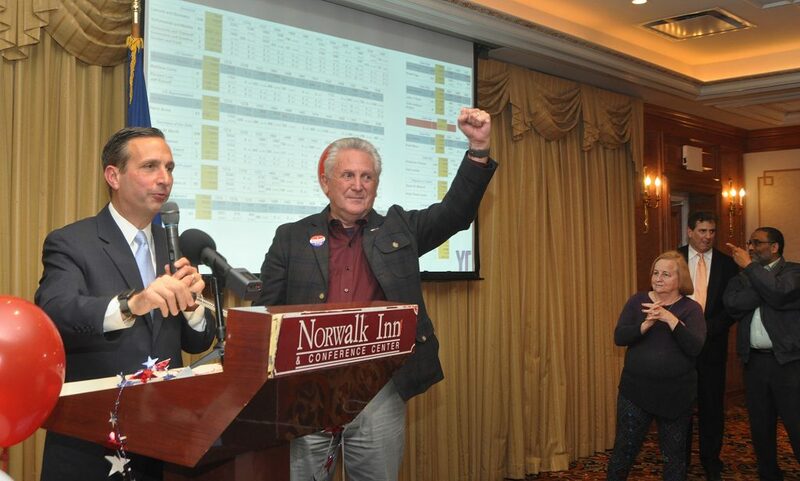 “It was simply a cordial chat during which we discussed the election results,” Rilling explained to NancyOnNorwalk. 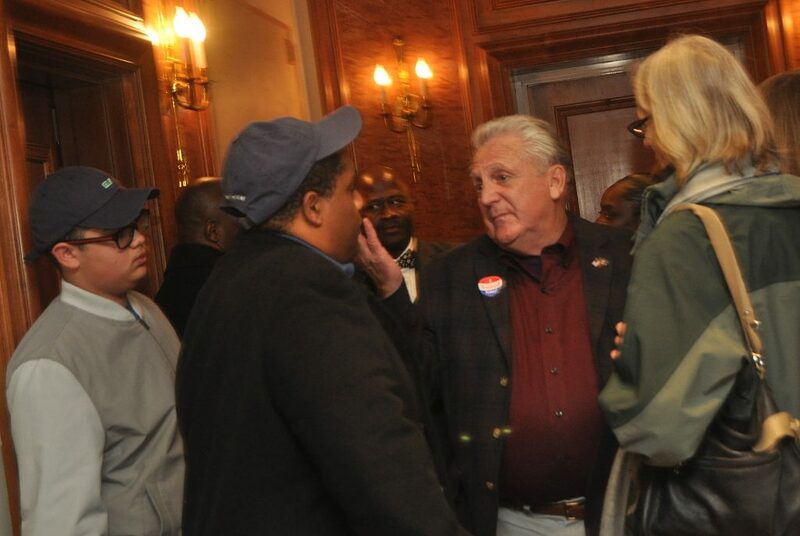 Mayor Harry Rilling greets former Common Council member David Watts, Tuesday in the Norwalk Inn. 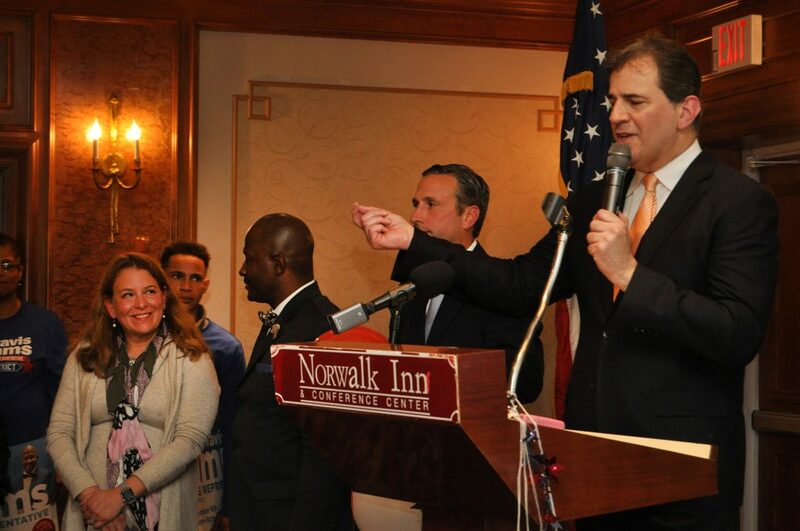 State Senate Majority Leader Bob Duff (D-25), at lectern, leads Tuesday’s Democratic Party Election Night celebration in the Norwalk Inn. 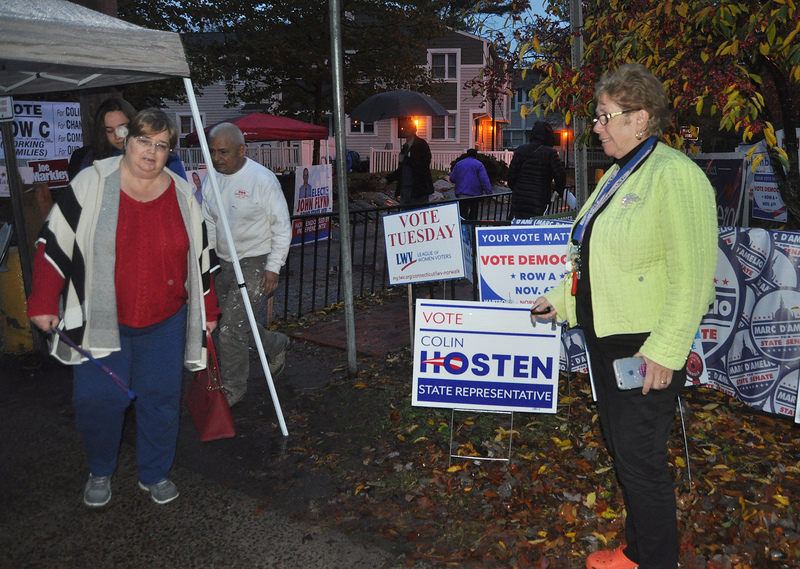 Republican Registrar Karen Doyle Lyons, right, admonishes Democrats to move their canopy off the sidewalk, warning them that they are intimidating voters, Tuesday at Columbus Magnet School. 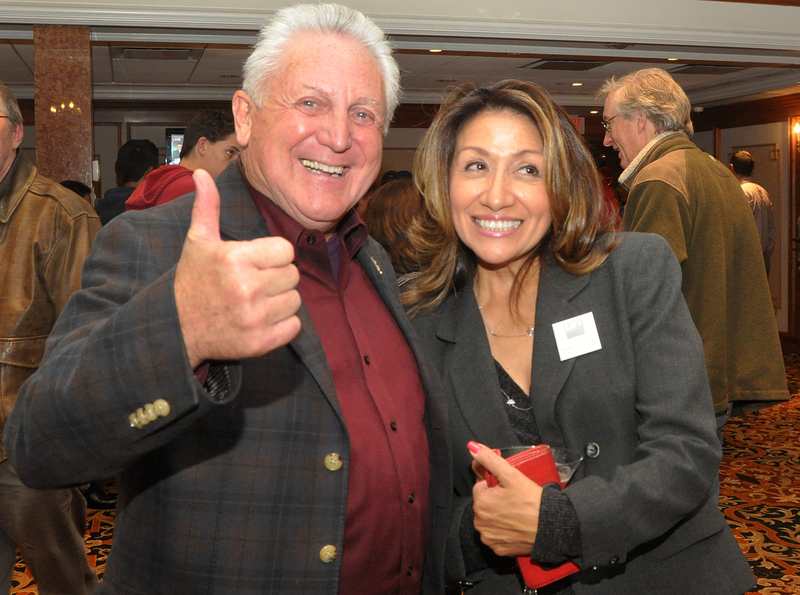 Mayor Harry Rilling and wife Lucia Rilling wait for election results to come in, Tuesday in the Norwalk Inn. 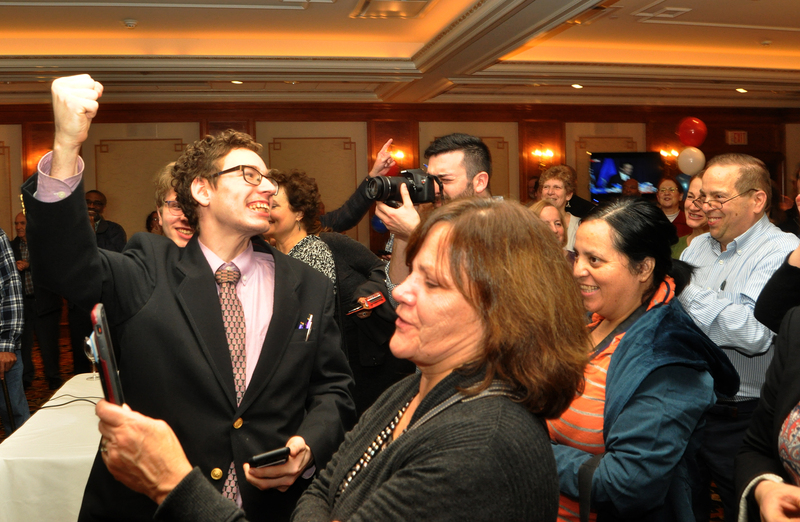 Andre DeNunzio, who volunteered for Lucy Dathan, celebrates Dathan’s win over State Rep. Fred Wilms (R-142), Tuesday in the Norwalk Inn. 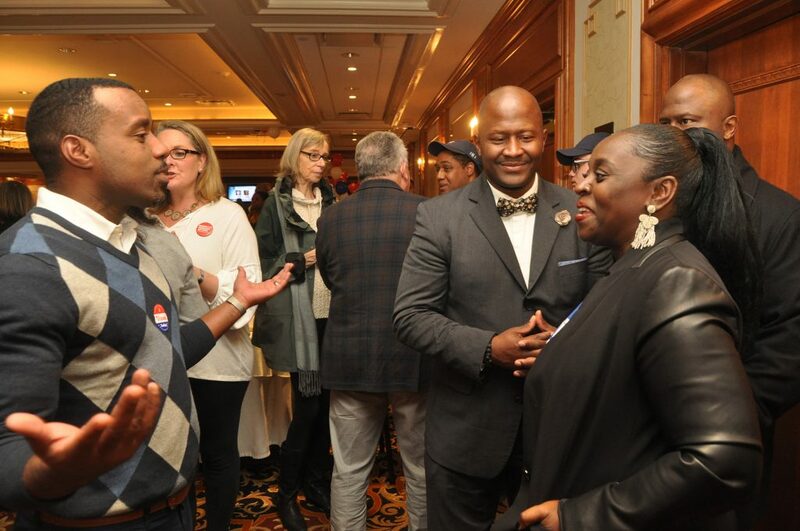 State Representative-elect Lucy Dathan celebrates Tuesday in the Norwalk Inn. 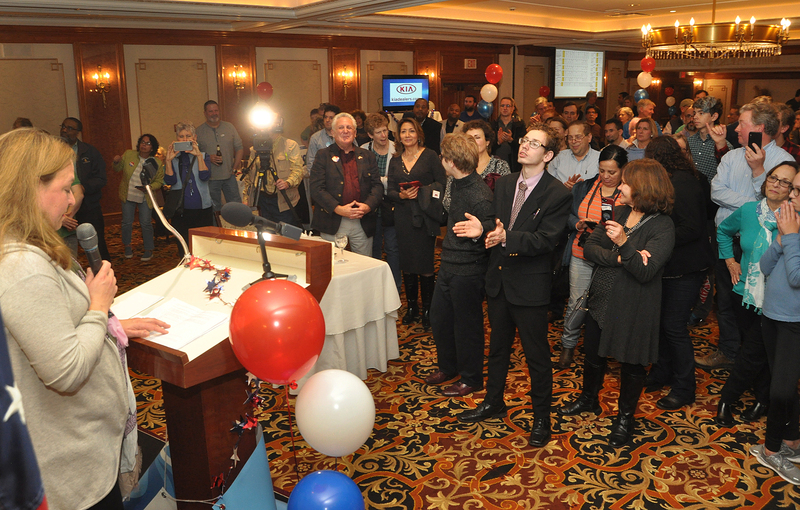 State Representative-elect Lucy Dathan celebrates as State Senate Majority Leader Bob Duff (D-25) watches, Tuesday in the Norwalk Inn. 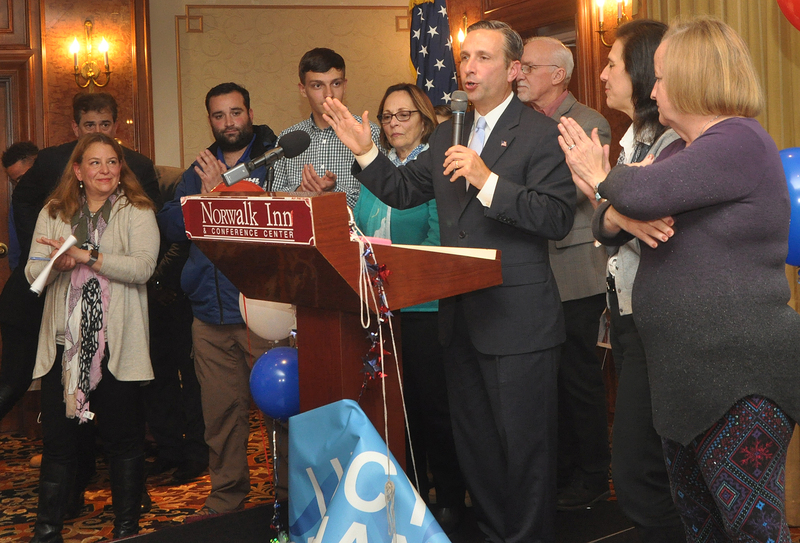 State Rep. Chris Perone (D-137)marks another reelection victory, Tuesday in the Norwalk Inn. 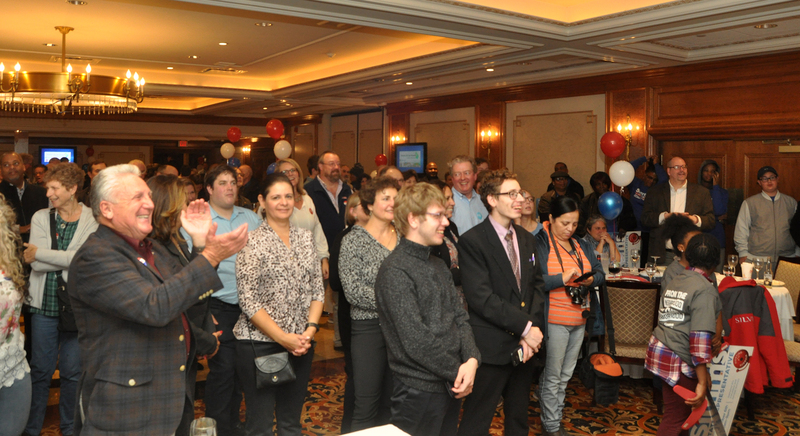 State Senate Majority Leader Bob Duff (D-25) and Mayor Harry Rilling, right, begin Tuesday’s election results announcements, Tuesday in the Norwalk Inn. 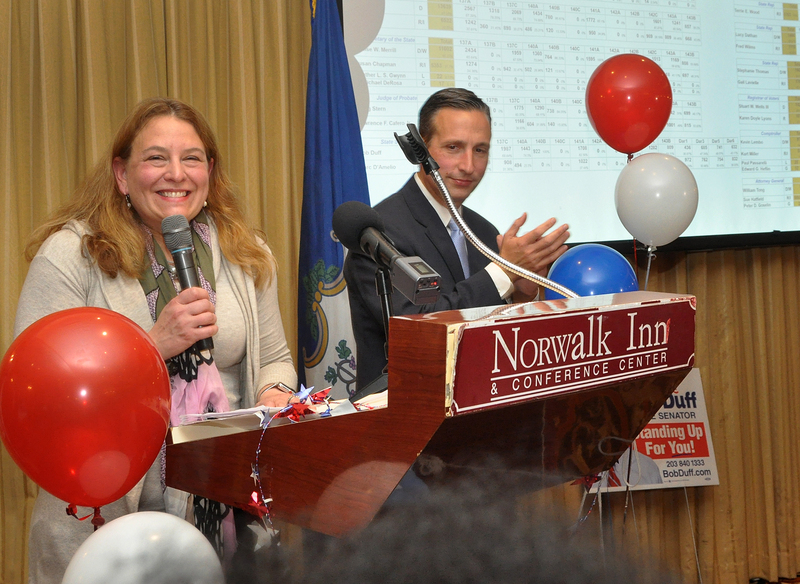 Lucy Dathan addresses gathered Democrats, Tuesday in the Norwalk Inn. 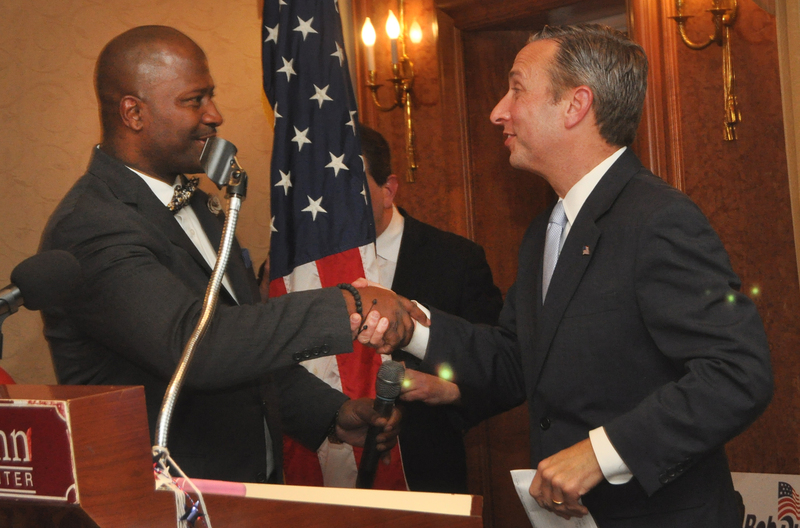 State Senate Majority Leader Bob Duff (D-25), Tuesday in the Norwalk Inn. State Senate Majority Leader Bob Duff (D-25) and Mayor Harry Rilling celebrate Tuesday’s election results, Tuesday in the Norwalk Inn. NancyOnNorwalk had planned to attend the Republican Election Night party and take photos there, but was asked to leave by Republican Town Committee Chairman Mark Suda. Comment disallowed for ascribing motives without proof, a violation of the comment policy. Let me get this straight? The Republican registrar calls the Democrats out on a tent intimidating voters on the sidewalk, but at another school the Republican tent is on the sidewalk too. I would think unless the tents are required a certain distance from the school no one should have a tent. Maybe Mr. Wells should be on the look out! I’m glad this election is over!! Has anyone publicly commented as to why NON wasn’t allowed at the Republican Election Night Party? btw is that Ron Morris in some of the photos? Wondering if the story by NoN on the Duff challenger played any role in being asked to leave the Republican party? And I read Merrill laughed with impunity about this. Is anyone else shocked by this? Not a word from CT GOP. Remember, Malloy was TWICE elected with less than 1% margins under a cloud of voting irregularities yet nothing was changed in our voting system. The dems made it worse with fraud enabling same day registration and ridiculous no photo ID rules. I thought Connecticut Yankees were supposed to be smart. They ain’t. Lets get the truth out there. I made NO comment on the tent structure. Period. I have a police case report of someone violating State Election law. NOT myself. 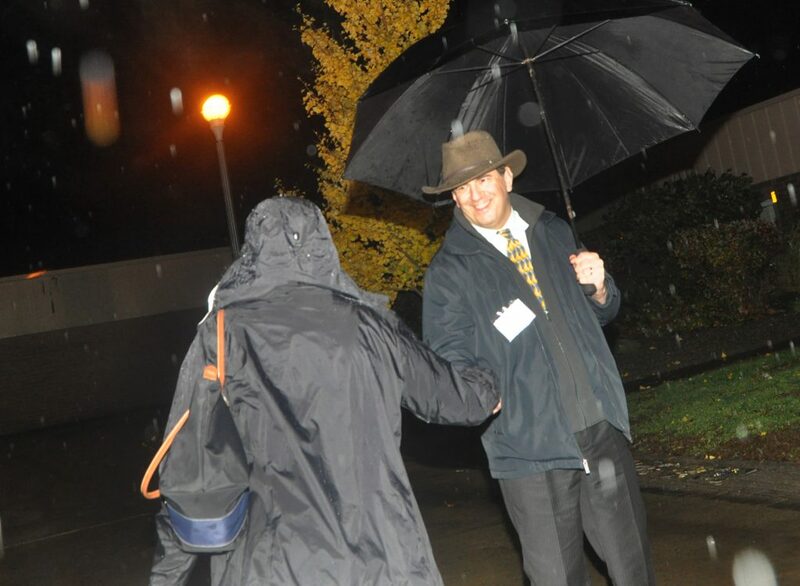 I did warn ALL CANDIDATES NOT to block the entrance to the polling sites – again State Law. I also have photos that will be sent to Election Enforcement. FOLLOW the Law and there will not be a problem with Election officers. Please note: I did not make the State Election Laws but- yes I FOLLOW THEM. I stand by my reporting. 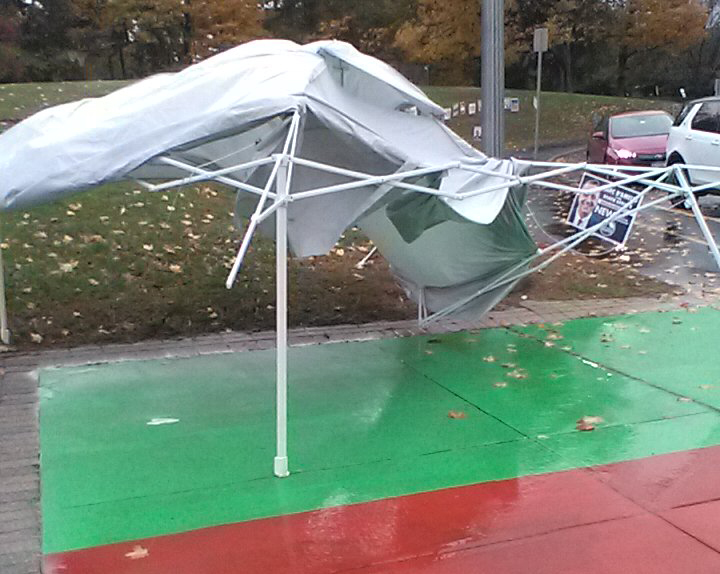 I watched Karen Doyle Lyons walk up to Democrats standing under a tent outside Columbus Elementary School, point at the leg of the tent and tell them it had to be moved.